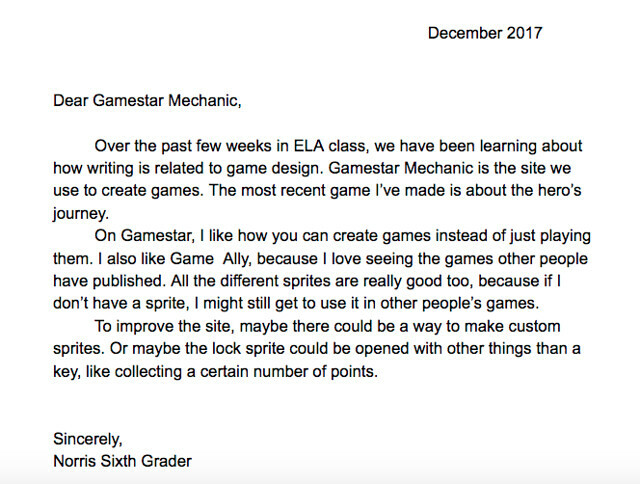 One of the many writing activities that I do with my sixth grade students as part of our video game development unit (which is taught in writing class) is to write a letter to Gamestar Mechanic about their project, what they like about the site, and some ideas for making Gamestar even better. 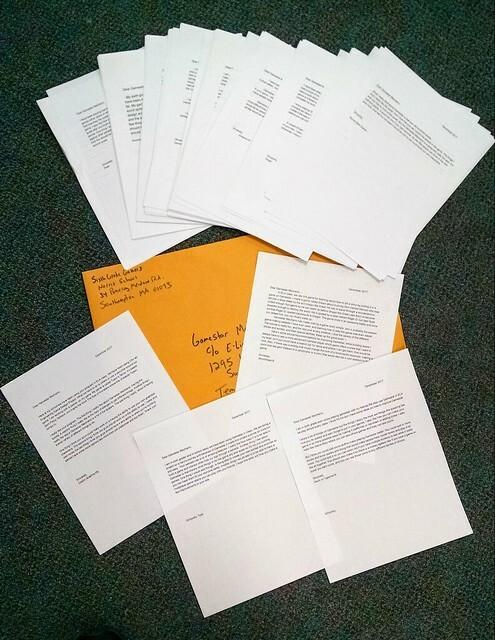 I’ll be mailing the letters off in early January. 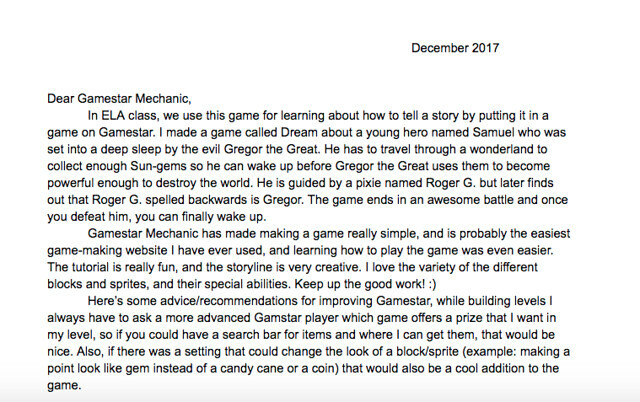 I don’t know if we will get a response from the company (my main contacts no longer work there and Gamestar is part of the larger eLine Media) but the act of writing to Gamestar — a site we we have been using rather extensively since the start of December — and articulating some ideas gives me a chance to see what they are thinking. 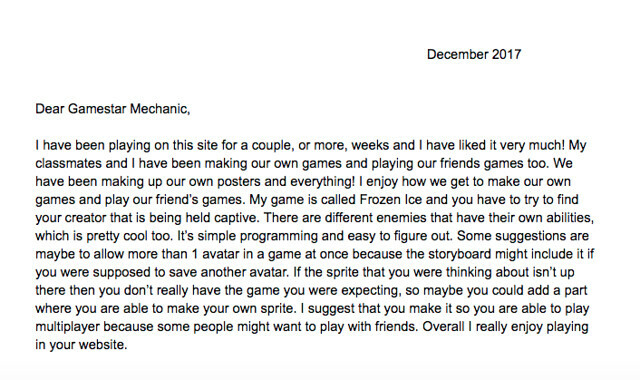 The letter follows a community brainstorming about features they wish the site had. The letters act as one sort of reflective end point as they finish up their games. This is perfect in so many ways. Thx. I think it is meaningful to the kids .. and maybe helpful to Gamestar folks ..